I recently saw some stinkhorn mushrooms erupting like mutant penises near the sidewalk in front of my apartment and decided to write about the strange organisms. Fungi are to me one of the more interesting organisms, and one of the most underappreciated. 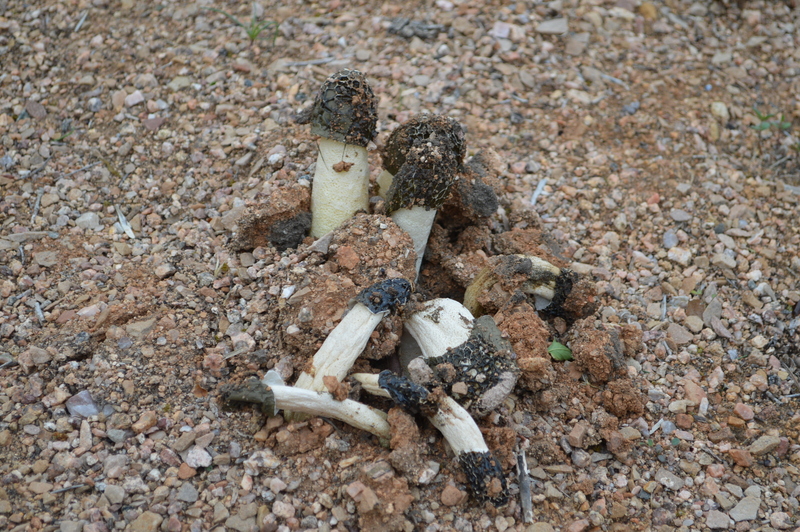 Most people probably think of fungi as either a group of plants or a close relative to plants. In reality fungi are more closely related to animals than plants as bizarre as that seems. 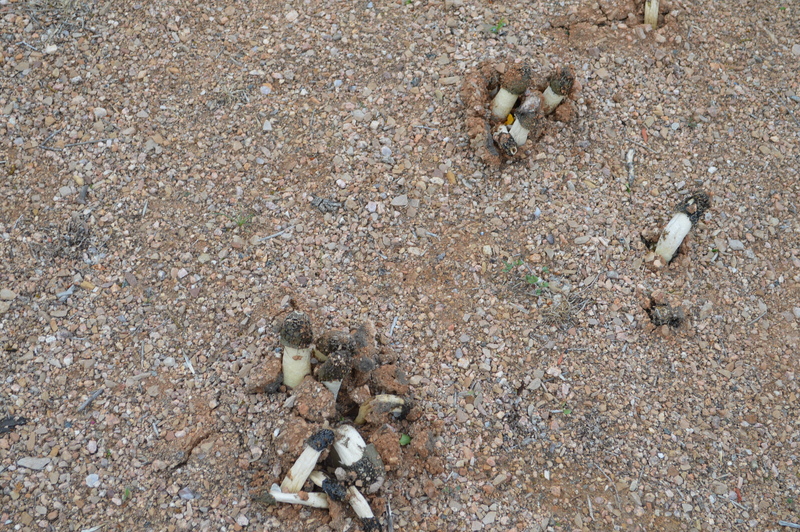 Stinkhorn fungi are especially interesting in their life cycle. 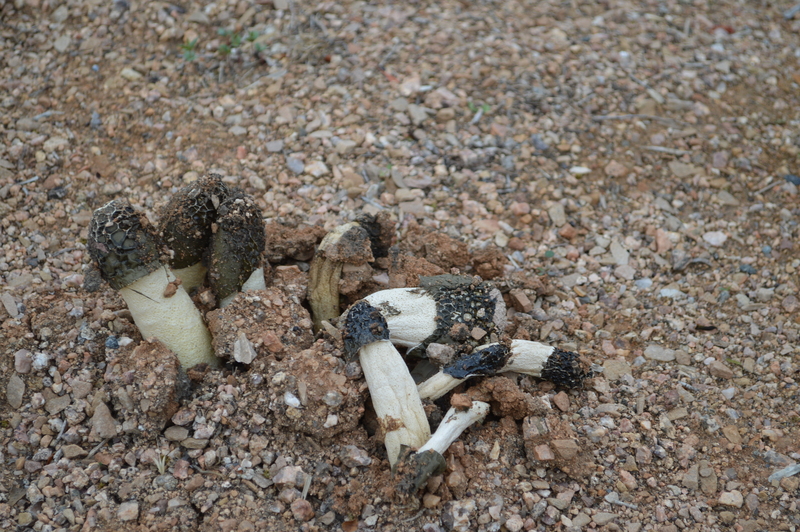 The mushrooms smell like rotting flesh, which attracted carrion insects, unusual partners for fungi or plants. The insects will land on the fungi and be covered in the slimy mess of spores covering them, thus dispersing the spores to places like rotting corpses and dung, places the insects like and also places that are good for mushroom growth. Fungi seem like a minor part of life on earth at first blush, an interesting side note in the history of evolution. Nothing could be further from the truth. Besides giving us delicious mushrooms to eat and yeast to create alcohol, fungi helps almost every known plant species to thrive. Fungi do not create energy through photosynthesis like plants but they can absorb some nutrients from soils that plants can not. Mycorrhizae are instrumental in the health of plants by creating a symbiotic relationship, bound to the roots of plants, each member of the relationship giving and receiving nutrients otherwise unavailable. So when you sit in the shade of a tree or eat vegetables and fruits, take some time to thank a fungi.